This Thursday, December 7th and again on Monday, December 11th, National Theatre’s the New Stage will re-introduce opera from this Spring called “No Man”. Connecting archive footage from the 1962 “silent demolition” of Stalin’s monument and the human need to create, “No Man” combines political climate with personal tragedy. Stalin’s Monument used to stand on Letná between years 1955 and 1962. The megalomaniac sculpture of the former USSR leader and people following him earned itself an infamous reputation. Referred to as “The meat queue” by many, the art piece and its creator Otakar Švec faced an unhappy ending. Švec as the artist destroyed by Communism gives a face to the struggle Czech state lived in before the Velvet Revolution. 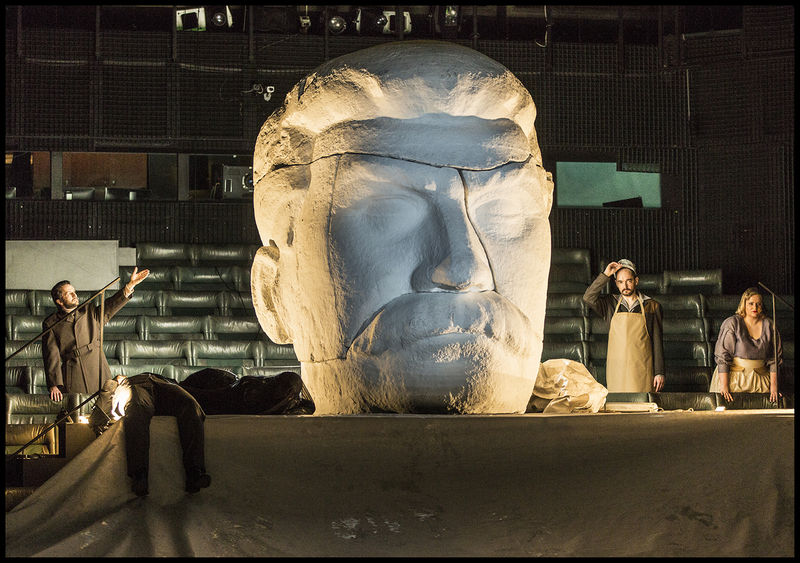 “If you know how opera or theatre play should look like, you put it in the box, and it’s dead,” said Kadeřábek. “We don’t play for people, who have set idea of what they are about to see.” Production demolishes the classic portrayal. “No Man” uses surround sound, one actor as numerous characters and auditorium as the stage. “It’s a nudge at National Theatre a bit. Everything is just slightly off,” said Kadeřábek.